Congratulations on your engagement! I am so glad that you are here! I have spent the last 7 years photographing the sweetest weddings in New Orleans and around the world. My approach is to shoot in a photojournalistic style throughout the day with a mix of portraits and those lovely little details. I will guide you to the pretty light and capture those heartfelt laughs and unscripted moments. 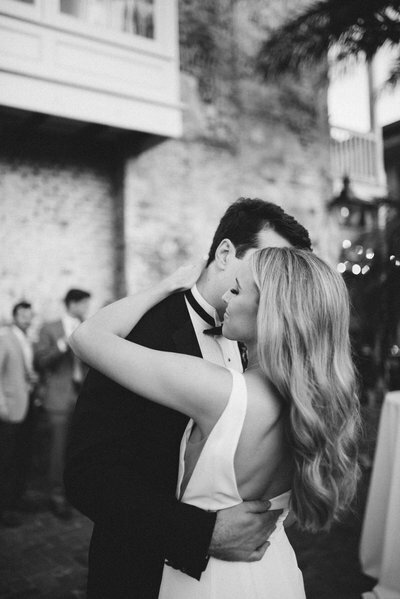 When your wedding day is over, you will have these photographs to hold close. 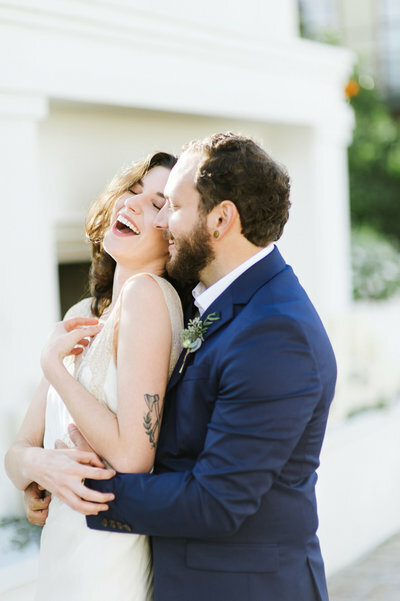 Photos of the excitement in your eyes as your start this adventure together - your parents' and grandparents' tears during the ceremony - your closest friends cutting loose at the reception. WOW! This is why I am so passionate about what I do! For detailed pricing and availability, please fill out my contact form. A $1,000 retainer and contract is required to secure the date. The quickest way to contact me is through email. 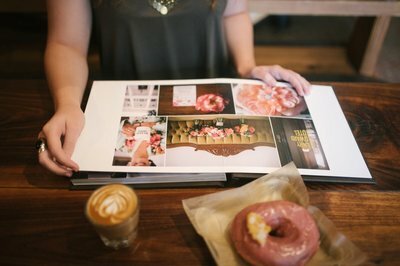 I would also love to set up a meeting to talk wedding details and show you our albums and keepsakes over coffee. How long have you photographed weddings? I grew up drawing, painting, and viewing the world in a creative way. I began shooting film in college and spent most of my time in the darkroom. From there, I landed a job with a local photographer as a second shooter and editor. Once I received my graphic design degree in 2012, I already had a successful photography business that I poured my heart and soul into. The rest is history! How many photographs will I receive from my wedding? You will receive approximately 600-800 edited photos organized to tell the story of your wedding day. You'll receive a sneak peek the week of your wedding, and your full gallery will be delivered within 6-8 weeks in your lovely online gallery. Absolutely! 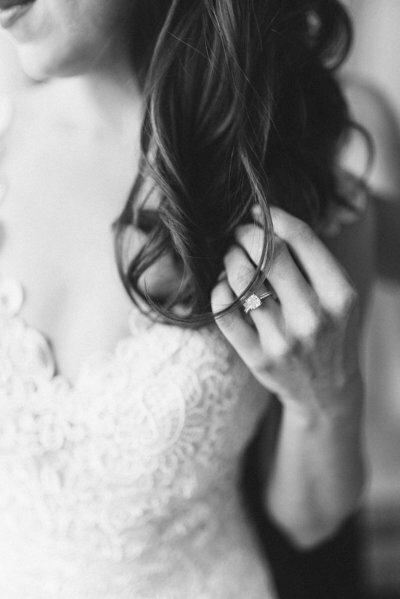 The emotions and natural light portraits taken during the first look are priceless. Also, finishing the formal portraits before the ceremony creates a stress free reception. Do you also offer wedding videos? No. I currently offer video for lifestyle sessions only. Learn more about them here! Our caraway box is a wooden engraved box measuring 6.5”w x 8.5”l x 4.25”h. 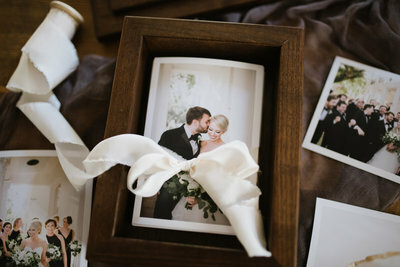 In the box, you will receive 120 fine art prints wrapped in plant dyed silk ribbon to relive your wedding day. 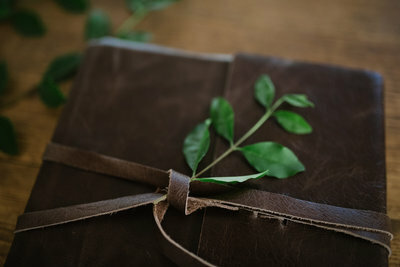 Our 8x8” 30 page legend album is a hand-crafted rustic album fashioned after a vintage artist’s journal. It is elegantly wrapped in genuine leather with a leather strap closure. This hip album will be a great addition to a very special nook in your home. Our 10x10” 30 page signature album is covered with engraved genuine Italian grade leather. It is crafted by hand with archival materials and features thick, lay flat pages. It is enclosed in a wooden box for safe keeping through the years. Lauren Carroll is wonderful! Finding the right wedding photographer was THE most important part of wedding planning for me, so I actually combed through over 50 photographers’ portfolios before choosing Lauren! Her style is so soft, romantic, and special, and she did a great mix of posed and candid photos for us. Not only is she an amazing photographer, but she is also very professional and easy to work with. She was very flexible and understanding even as my wedding plans changed during my engagement. She is also easy to get in touch with, and she kept in contact frequently both before and after the wedding. 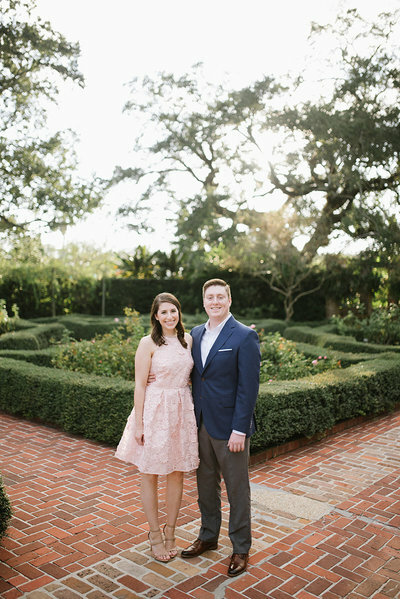 My husband and I LOVE all of the photos that she took of both our engagement session at Audubon Park and our wedding at Tomas Bistro. Lauren was calm and friendly throughout the wedding day, and she managed to capture so many special moments without being intrusive at all. She took so many beautiful pictures of my husband and me that the hardest part is choosing our favorites! 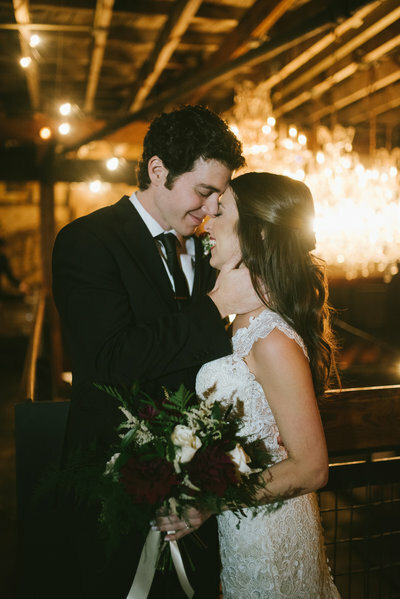 I would highly recommend Lauren as a wedding photographer! Lauren was so amazing to work with! Having a photographer that would capture every detail of our day was very important to us. From the first conversation with Lauren over the phone, I could tell that she would be such a calming and sweet presence on my wedding day. I was so right! When storms ruined our Plan A for pictures, Lauren came through and found us a perfect location to take portraits. Our pictures perfectly encapsulate our day, and every time I look at them I feel like I am right back in the moment. Lauren's great personality, professionalism, and talent make her a wonderful option for your wedding photographer! 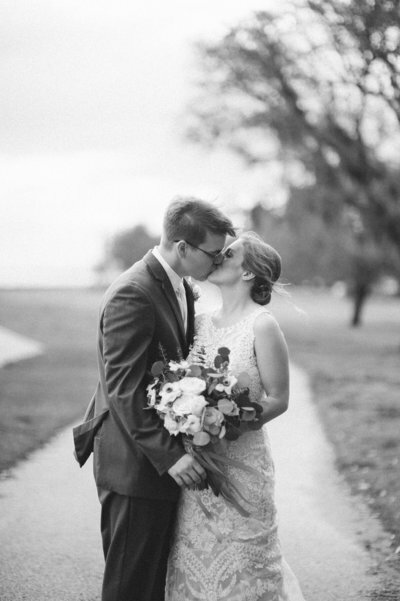 We are so happy we chose Lauren Carroll as our wedding photographer! She is so talented and did a truly amazing job capturing our wedding! We also had her for an engagement session and to photograph our rehearsal dinner. She made us feel so comfortable throughout all of our sessions and all of our pictures are natural and feel like us. We chose her because we loved the style and aesthetic of her work. Nothing is overly posed or awkward, and we have so many amazing candid shots from our wedding and reception of us and our guests. She has a great turnaround time and we have so many amazing photos to remember our wedding by! Lauren is absolutely amazing! From our first conversation on, I knew she would be the perfect photographer for our wedding- and she surpassed those expectations! She is professional and personable, creative, has great style, friendly and sweet but also efficient. You hardly knew she was there (which is what you want in a photographer!) as she blended in seamlessly with the guests while getting the perfect shots. She made us feel so comfortable in front of the camera, and let us be natural with each other instead of posing us awkwardly, which resulted in some amazing photos! So many of our guests came up to us throughout the night and told us how much they enjoyed having her there and couldn't wait for the photos! She also sent us a preview of them on our honeymoon which was such a nice touch. You will not regret hiring her, as she becomes your friend- not just your photographer! We couldn't have asked for anyone better to be such an important part of our wedding day and we are so thankful we hired her! Thank you so much Lauren!! 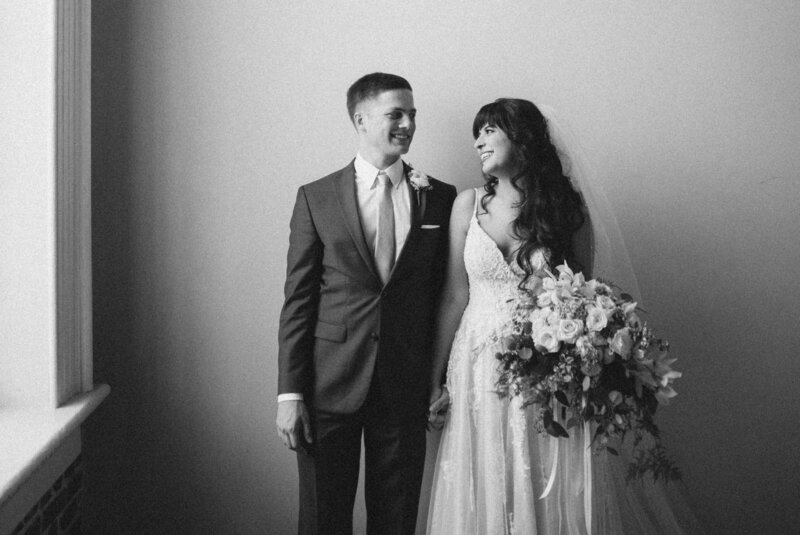 We spoke with a few photographers for our wedding day, and Lauren stood out to us immediately! She is a bright and fun person who clearly loves her job, and wants to capture the joy of your day. We did not want to do an engagement or bridal shoot, so she graciously offered to just add an extra hour of shooting to our wedding day instead. It was perfect! She made sure she knew what we wanted and needed in the lead up to the wedding. On the big day she was on time, professional, and fun! I have never felt more beautiful and special than when she and the other photographer Ryan would tell me how great the photos were turning out, and how lovely I looked. My husband and I felt like rock stars! My bridesmaid even said to her, “Where were you for my wedding!” All brides want their pictures right away, and the week after our wedding I was already getting some sneak peek pictures from her to start posting and sharing with friends and family. I am looking forward to seeing the rest, and know they will turn out beautifully!